Did you have a great weekend? I did. I love coming home after a trip, settling back in and feeling freshly inspired. This week should be action packed here at make something. 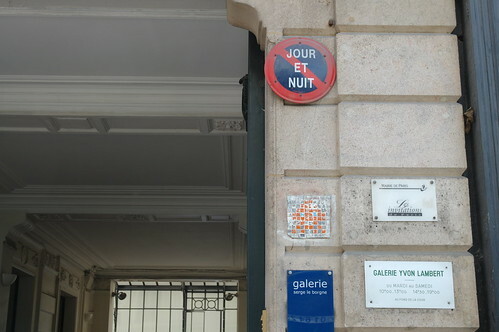 I’m continuing my Paris posts, introducing you to some awesome designers (for the upcoming Garden Party Trunk Show) and announcing a fun giveaway (later today)! 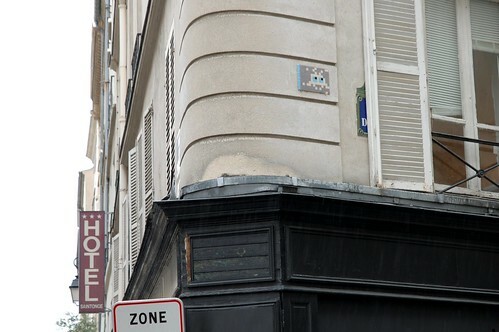 I’ve been collecting snapshots of Space Invader‘s mosaic pixel installations for many years now. 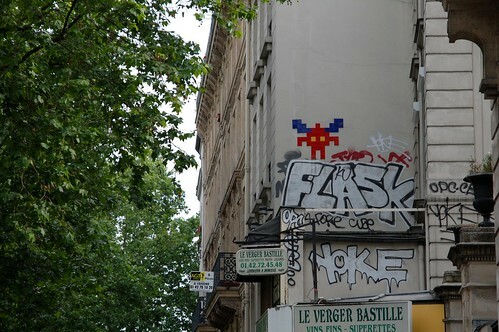 (from New York and my first trip to Paris many years ago) He’s one of my favourite street artists and I knew I’d be able to add more to my collection while in Paris, since that is where he’s from. 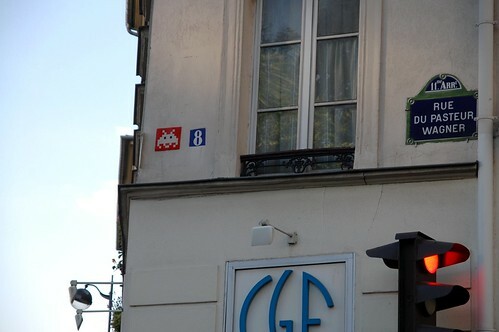 I was pretty thrilled that I spotted eleven ‘invasions’ during our trip but I just found out that in Paris alone, there are over 763 invasions. Whoa. That means, I only collected 1.45% of them. That’s not a very high score. I hope to do better on my next trip. 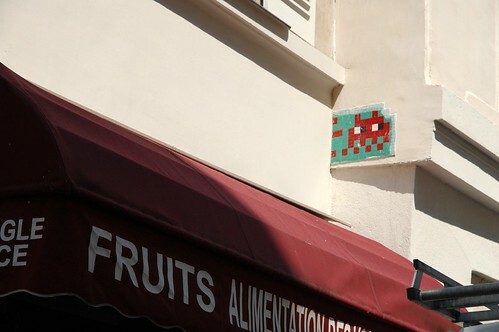 Awesome video of an Invader installation here and an interview here. 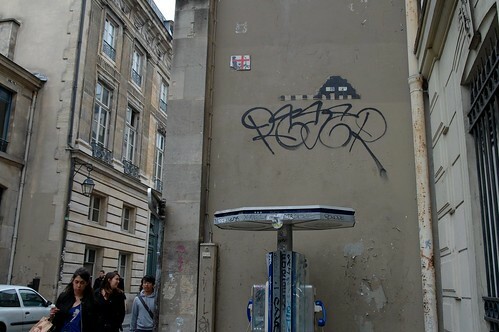 I have a really big weakness for mysterious street artists. 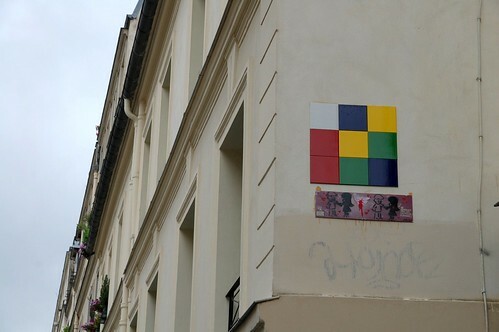 Whoa – this is awesome. 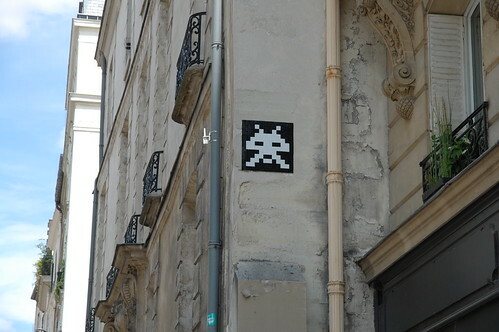 I have a total soft spot for space invader themed stuff. I will be on the lookout for these on my trip to Barcelona in a few weeks! 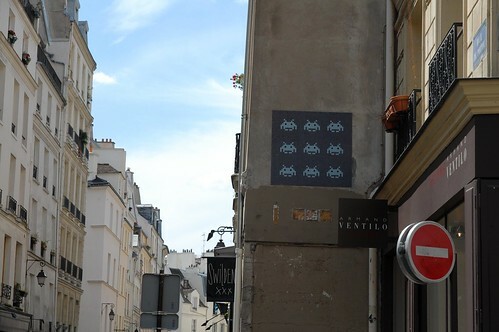 Thanks for letting me know about this game – it will be a fun to see how many we can spot although I feel like it might be a bit harder because there are only 17 in the whole city! Wholly awesome! 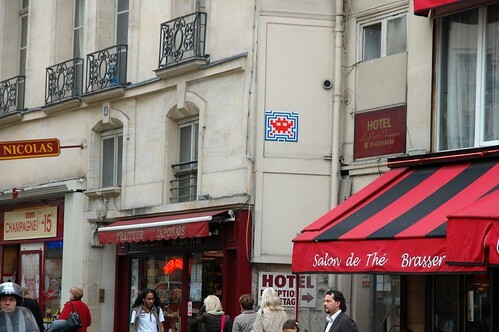 Don’t tell Dave about this, or he will go on a serious mission of space invader mosaics! Wow!! 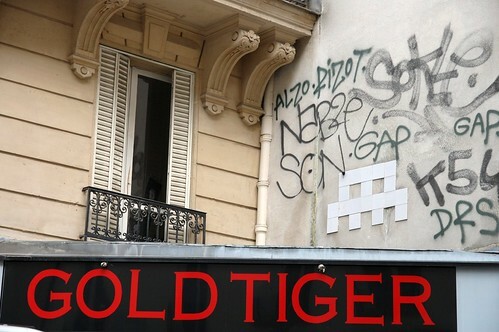 thanks so much for the links – awesome!